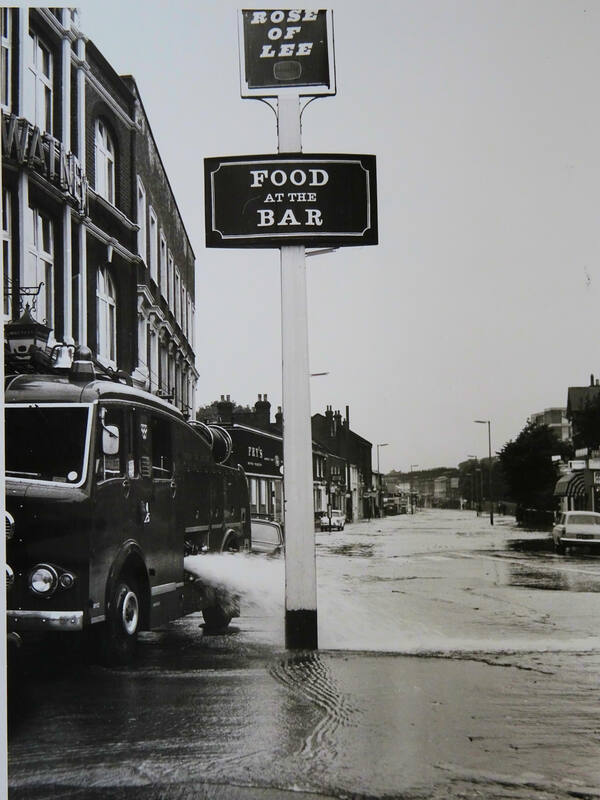 In previous posts, Running Past has followed the Quaggy from its sources around Locksbottom and then on through Petts Wood, the Hawkwood Estate, Chislehurst and Bickley and through the golf courses of Sundridge Park and on to Chinbrook Meadows. 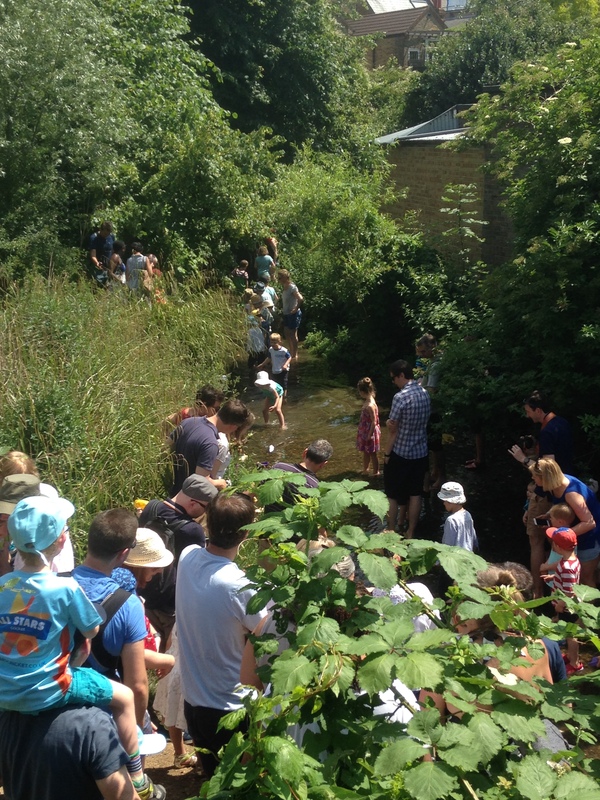 We left the Quaggy in a concrete channel coming out of Chinbrook Meadows. 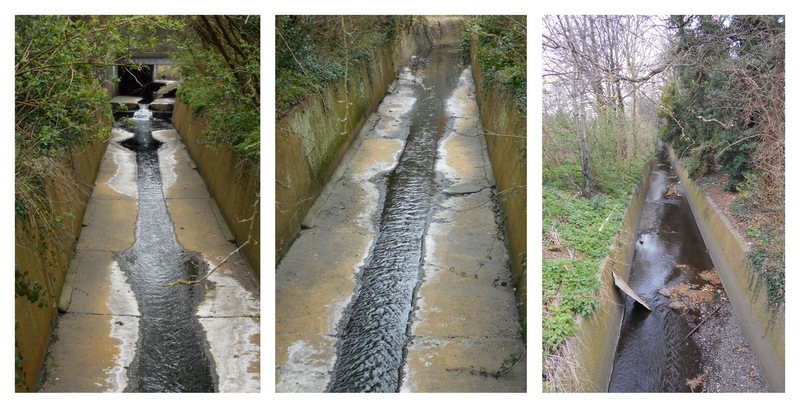 A small weir lowers the level of the river bed as it exits the park, it is not to provide a more natural bed though, the notched river bed gives way to a flat one but it is still concrete – attempting to quickly move the water on, as was de-rigour in the 1960s. The river isn’t completely barren at this point – some small plants are clinging onto an existence but struggling to put down any roots. The path emerges out onto what used to be called Claypit Lane but is now called Marvels Lane. 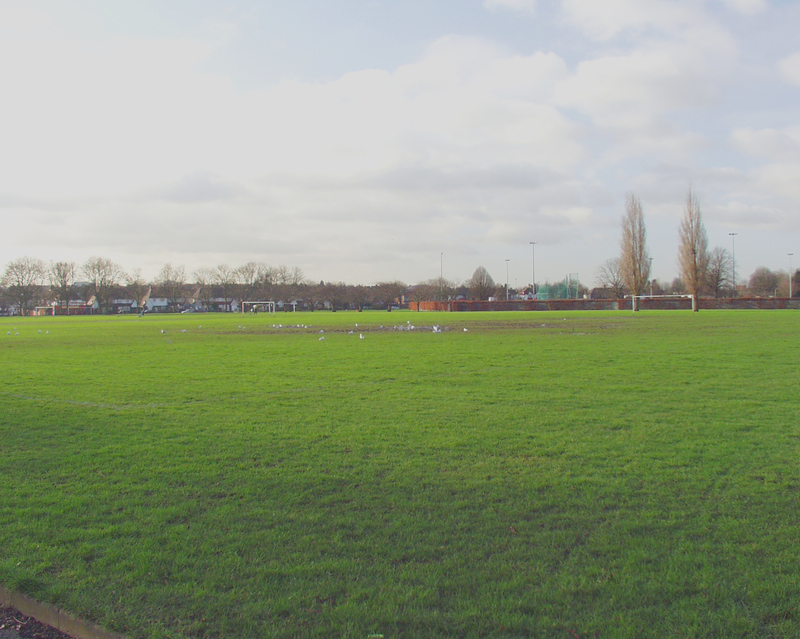 The road is bridged and heads towards the entrance to some playing fields – this isn’t how it has always been though. 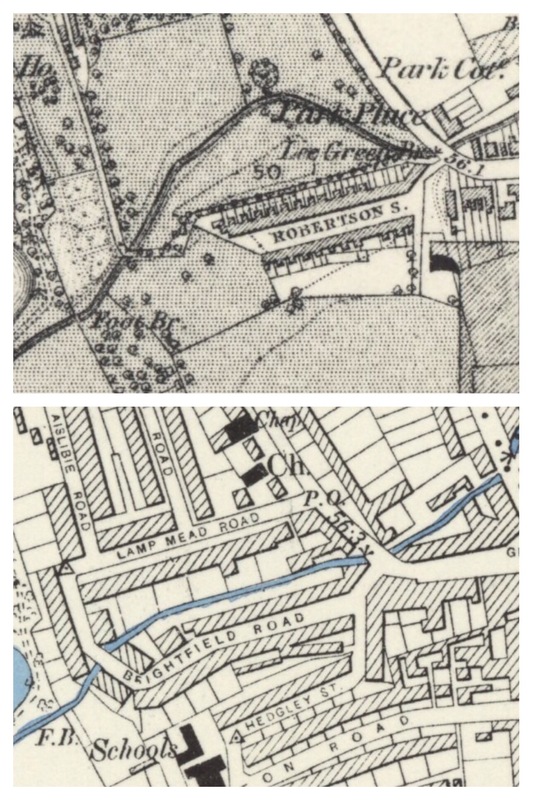 As the Ordnance Survey map above from the 1890s shows, there used to be a small pool and a distinct meander at this point – taking the Quaggy in front of the former agricultural workers cottages – Sydenham Cottages (below) – presumably for Claypit Farm (just off map, although no longer marked by the 1890s). 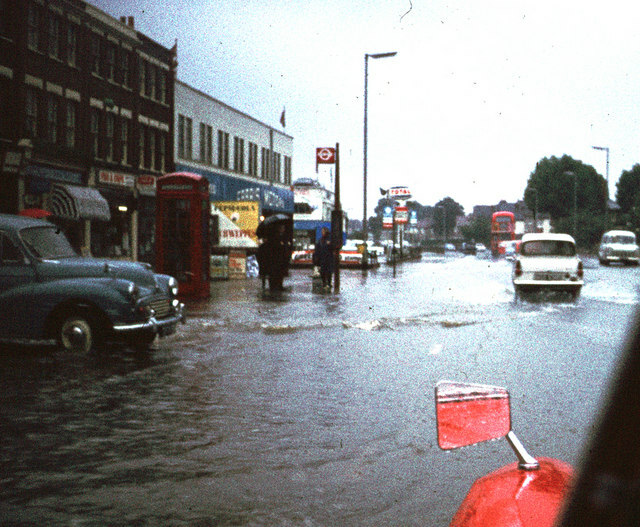 There was serious flooding there – notably in 1968 – which seems to have led the channelisation and straightening of the river. 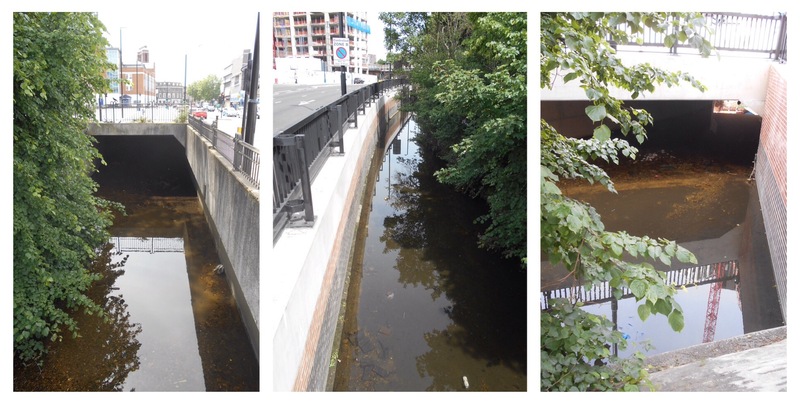 The Quaggy encased in concrete is now more or less devoid of life at this point. 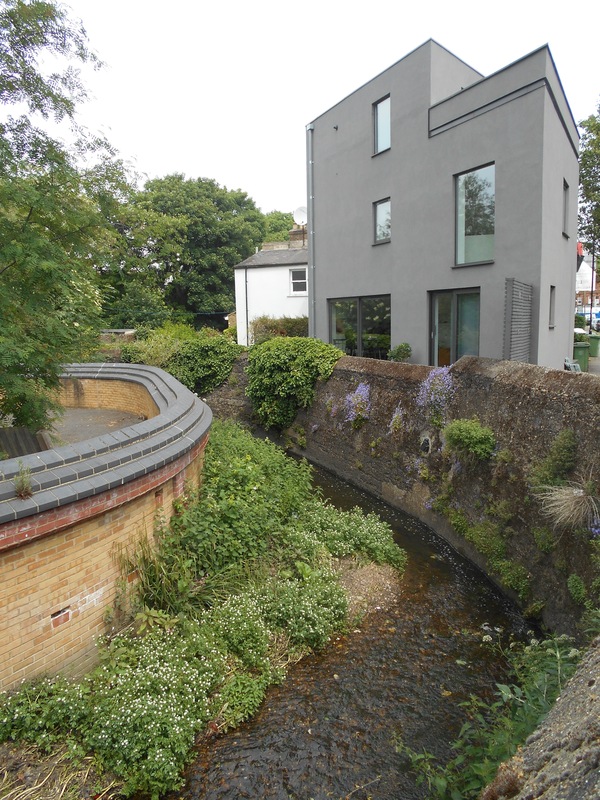 Its former meander is now the Sydenham Cottages nature reserve which despite its river bank location has almost no trace of wetland habitat remaining. 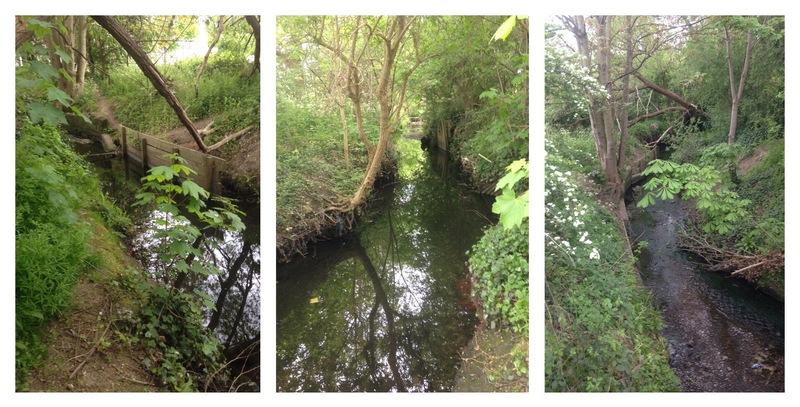 The straight channel is slightly disturbed opposite the nature reserve with a concrete access ramp (see above left photograph) – this has led to some fluvial deposits in the slowest moving bits of the river. Plants have colonised the sediments, but it is a precarious existence, without deep roots, they could be lost to the next high flow. 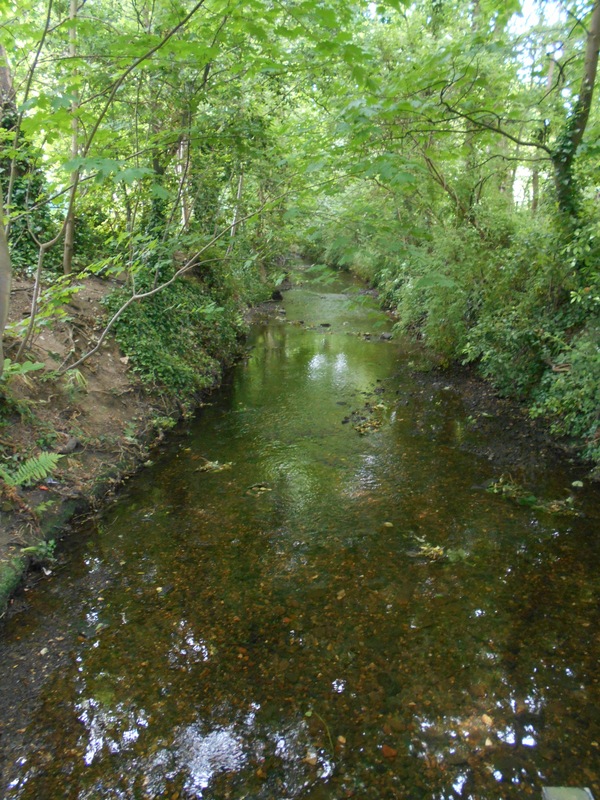 Opposite the nature reserve, and clearly visible from it is the outflow, just above the river level, one of the tributary streams joins the Quaggy, Grove Park Ditch – which rises in Marvels Wood and has an attractive 400 metres through woodland and park edge before being forcibly submerged around the edge of the Chinbrook Estate and then the playing fields of the former Fairy Hall – which gave its name to another stream in the Quaggy catchment, Fairy Hall Flow. 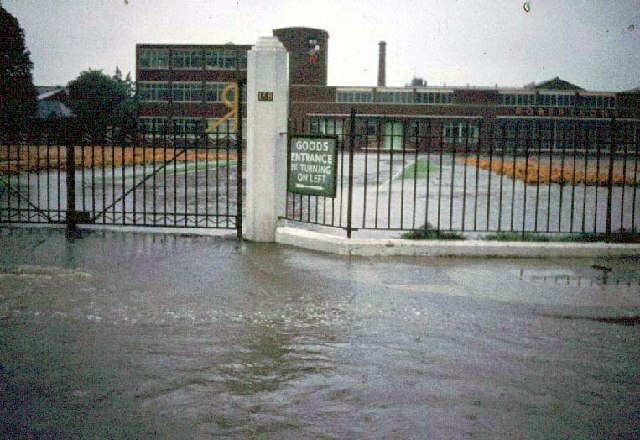 The river is followed by the Green Chain Path for another hundred metres or so before the path veers off to the right towards Mottingham Lane and the last home of WG Grace. For those following the river as a walk this is the way to head and then re-join the Quaggy near at the junction with Winns Avenue. 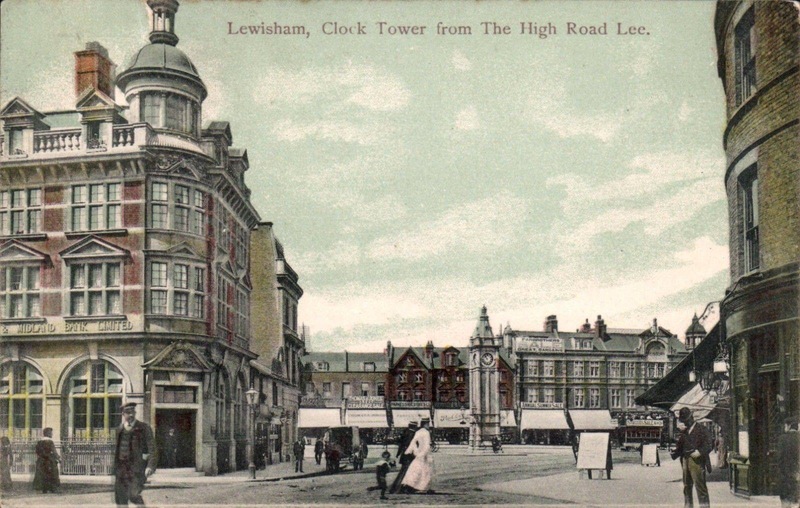 For most of the 20th Century the former over spill Greenwich Union Workhouse, Grove Park Hospital, dominated the area – its land went up to the banks of the Quaggy – the slight valley is clear from the postcard below (source eBay November 2016). 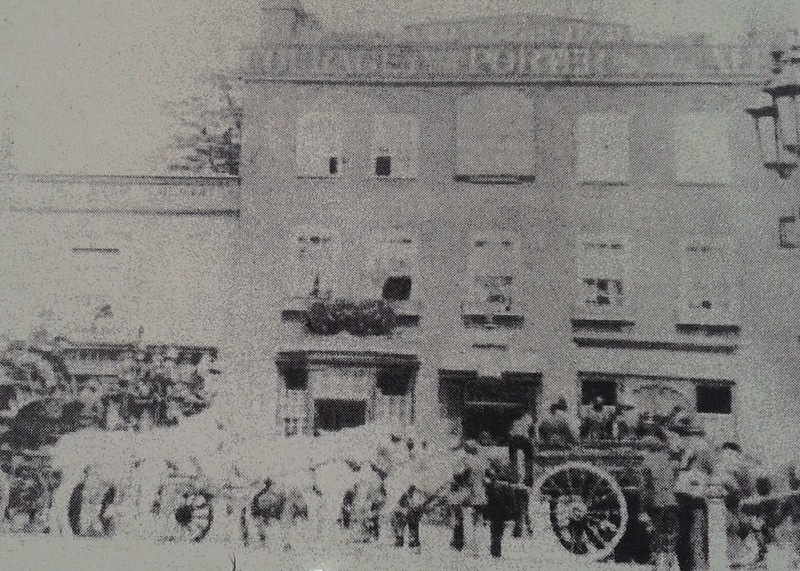 The location both as a workhouse and in its early days as a hospital, led to its under use as it away from the urban area. 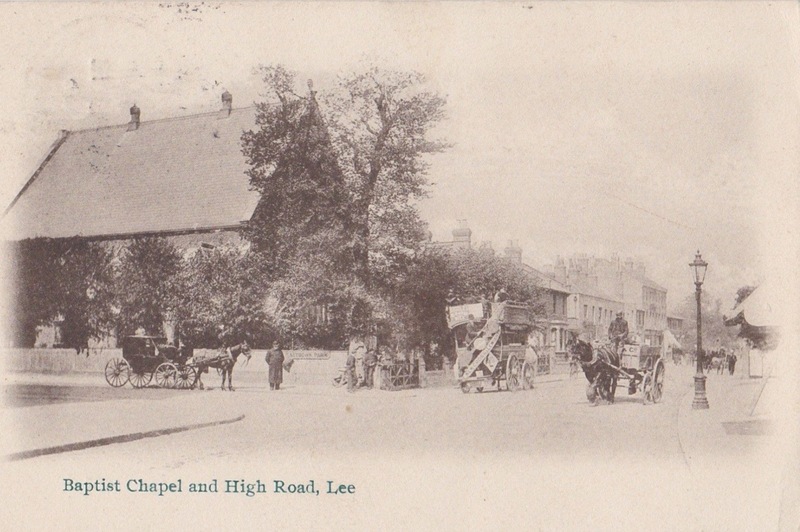 It spent time as a military barracks and hospital during World War 1 ( see post card below – eBay May 2016) but was a TB and chest hospital for most of its ‘life’, although latterly became a mental health institution – the development of care in the community and associated hospital closure programme meant that its days were numbered. It closed in 1994 and is now a mixture of a private health club and housing. 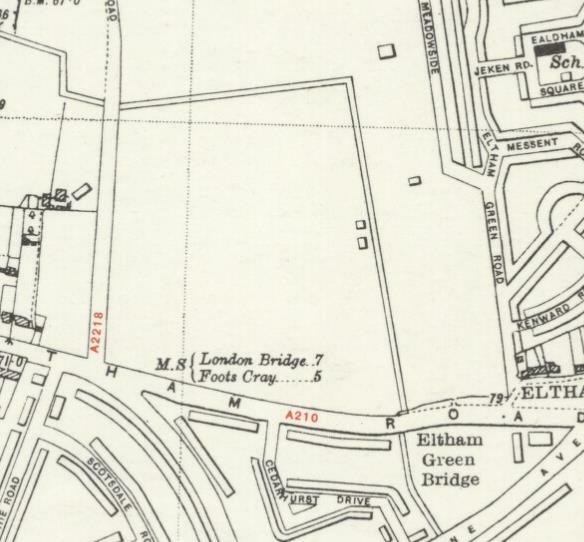 There used to be a second meander, in what were the grounds of Grove Park Hospital but that too was removed presumably at the same time as that of Sydenham Cottages. The meander is easy to see on the ground, next to the former hospital is a private leisure centre through whose ground there is access to a scrubby field that gently slopes down to the river, the path to it, which traverses a broken down bit of chain link fencing, is easy to miss though. 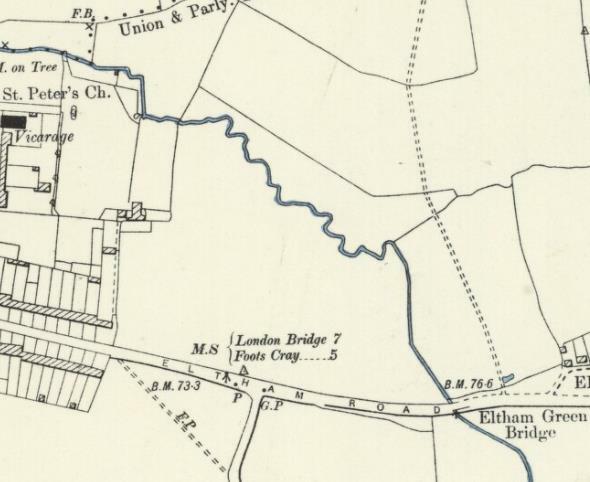 The former meander is a jungle of brambles which proved something of an obstacle to the bare-legged urban explorer. 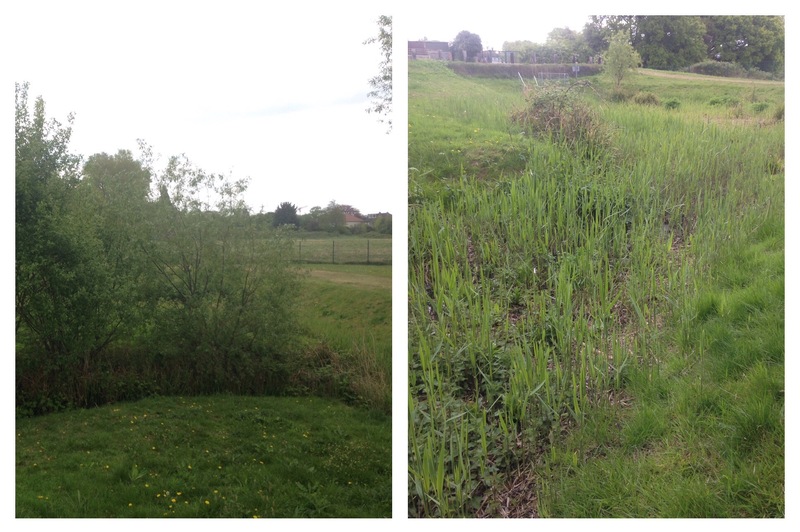 A little further along the path that loops around the unkempt grass, the Quaggy is reachable and seems almost back to its semi-rural state last seen on Tong Farm, several miles back upstream. 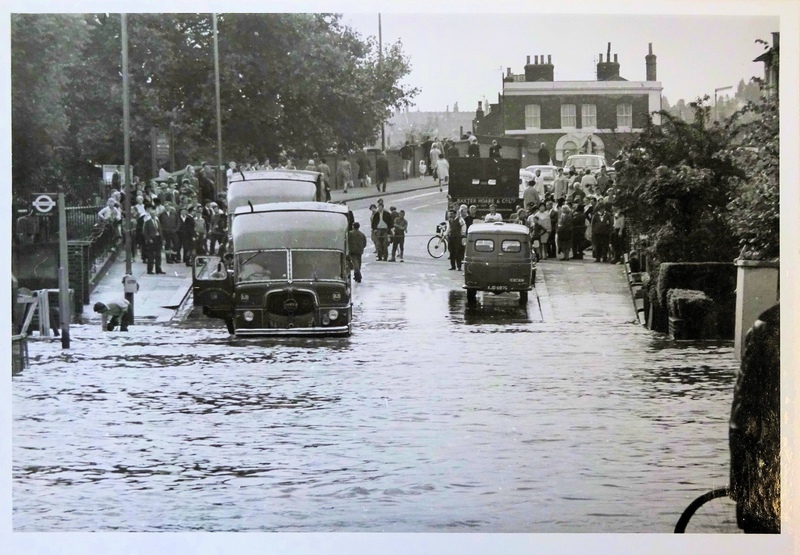 It is but a brief interlude though – the Wates developed houses on the former Melrose Farm soon appear on the western bank and the river is left to flow behind the gardens of Westdene Avenue and Jevington Way. On the eastern bank is Hadlow College, which was once the site of a large Victorian house, Mottingham Hall. 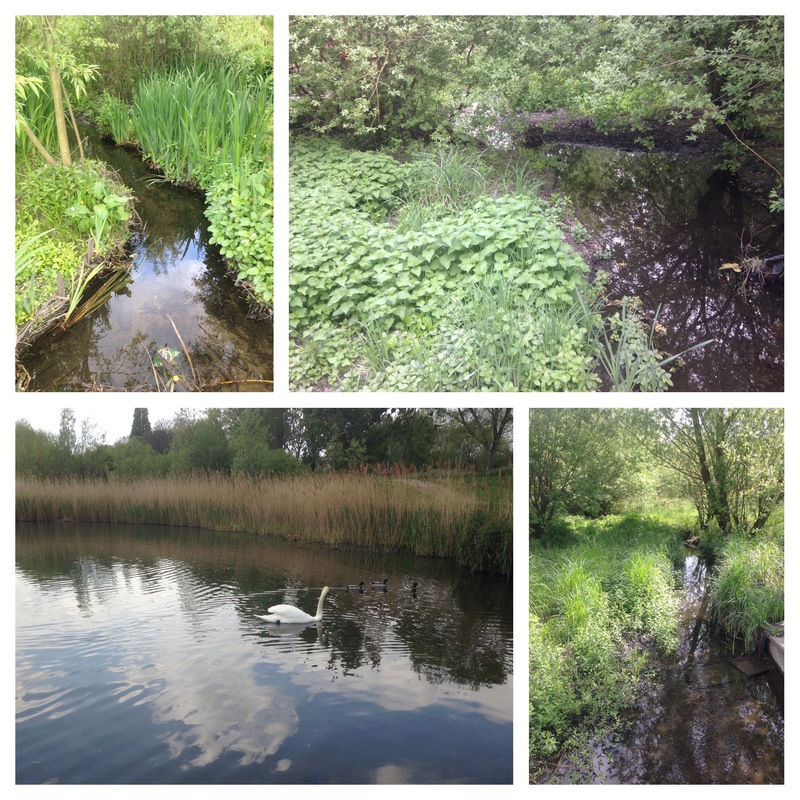 For a while, the site was the Macintyre Nature Reserve – part of an organisation that provided support for people with mental health disabilities, it then became an outpost of Phoebes Garden Centre, before being taking on by Hadlow College. Contours would suggest that there may have been at least one stream joining the Quaggy in this area. Any feelings of ‘rus in urbe’ are soon lost after crossing the A20, while edged by grass and trees on initially scrubland and then a series of sports grounds, the concrete bed and banks return in their bleakest form anywhere on the river, any remaining sticklebacks would be hard pressed to find food. 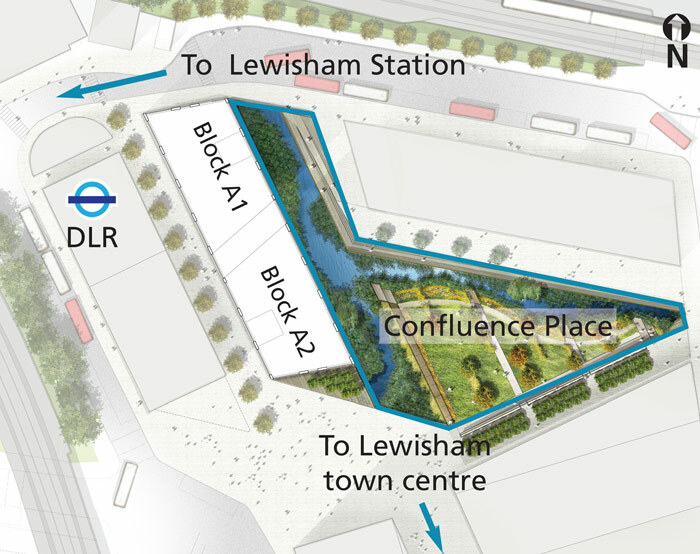 The concrete course is almost as straight as a Roman road as it bypasses playing fields including the new home of Greenwich Borough FC, whose previous permanent ground, Harrow Meadow, adjacent to the Quaggy in Sutcliffe Park was lost to developers in 2009 – and they had a nomadic existence for a few years. 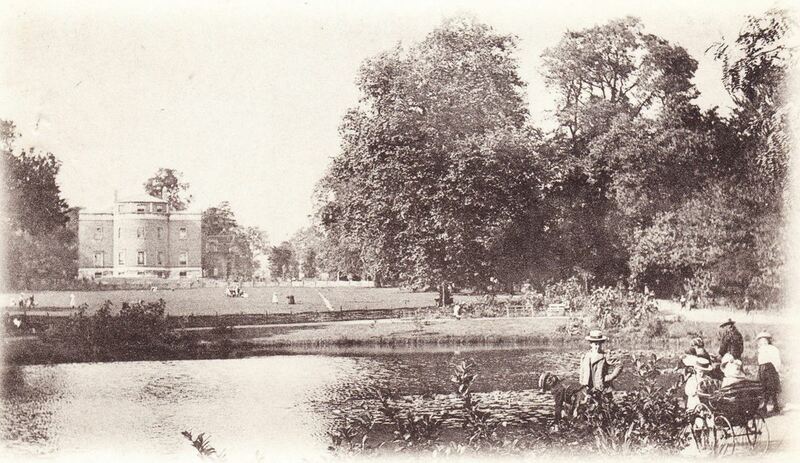 On the opposite bank, until the early 1930s, would have been the Middle Park Farm – like Horn Park Farm it was originally site one of the Eltham Palace’s hunting parks. 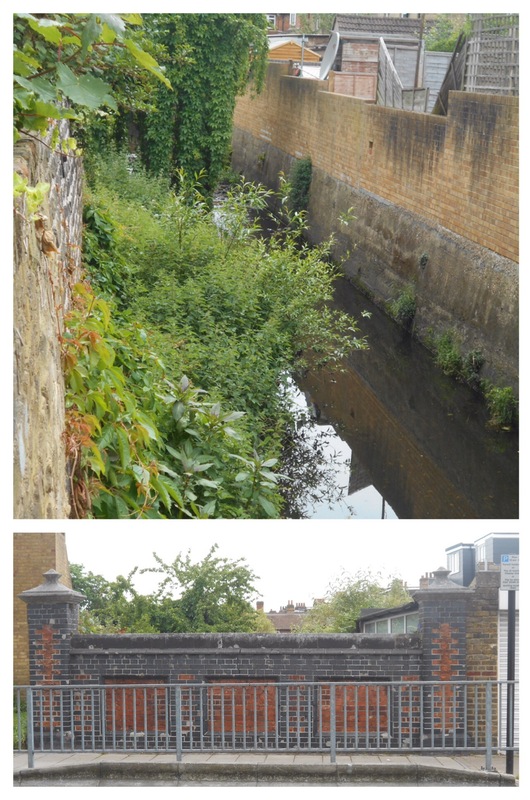 The river then squeezes between back gardens and is bridged the South Circular – on the south side it is shielded by a wall of a height that makes visibility of the flow impossible; on the northern side while the parapet was lower the overhanging shrub on both sides of the river meant that the flow was still invisible. 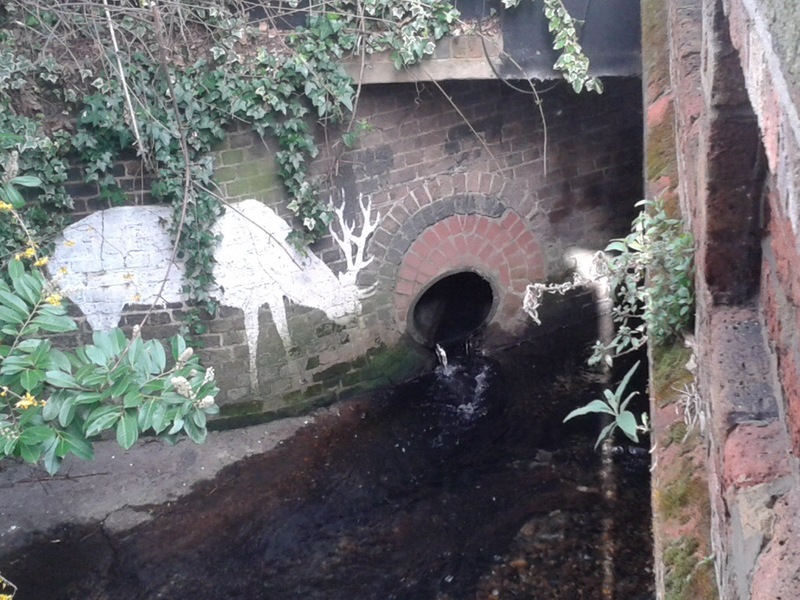 It emerges back into the open at Eltham Bridge. 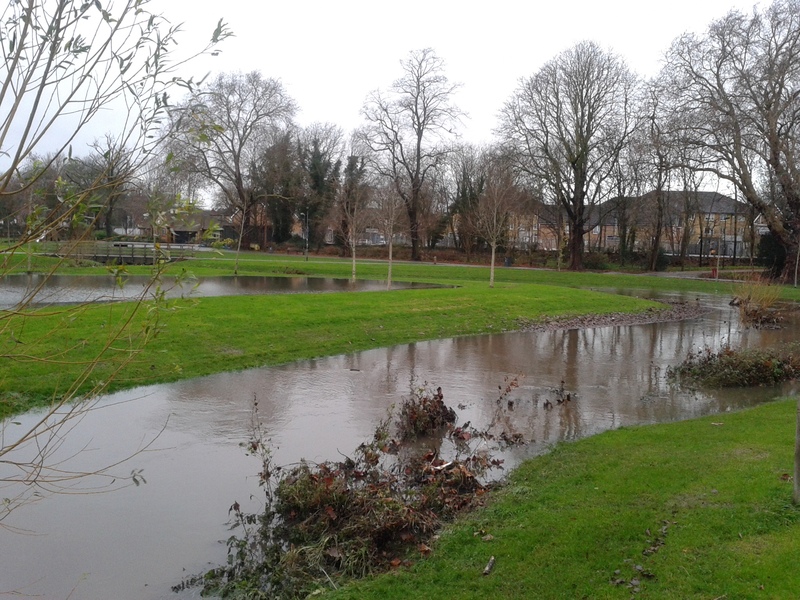 This is an area that is still subject to flooding – over 20 houses were flooded around Christmas 2013. Before leaving the Quaggy there for another day a stop at the Bridge is worth making; it has an old London County Council sign with a wide variety of rules relating to bridges it controlled up until 1965. 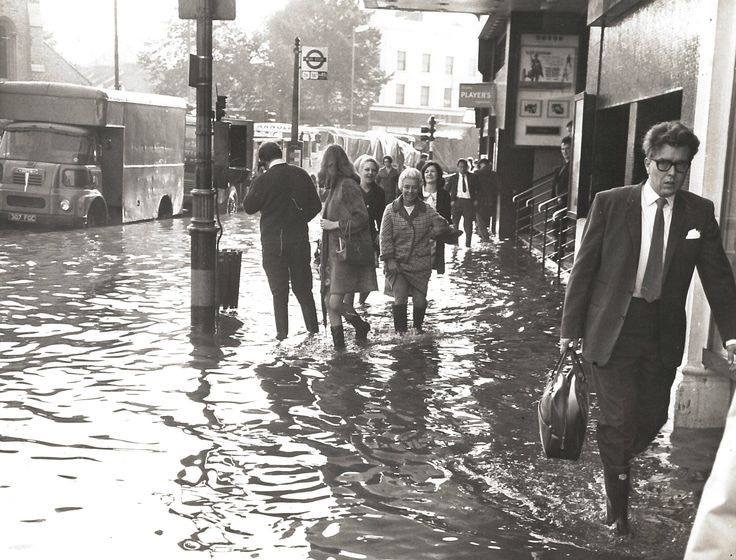 Mooring a vessel at Eltham Bridge would be quite challenging though ….. 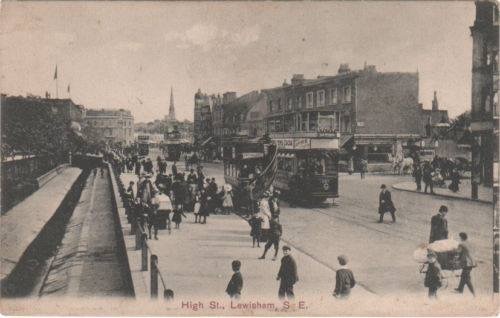 This entry was posted in Greenwich History, Lewisham History, Rivers, Uncategorized and tagged Chinbrook Meadows, Eltham Bridge, Fairy Hall Flow, Grove Park, Grove Park Ditch, Little Quaggy, Quaggy on April 20, 2017 by Paul B. 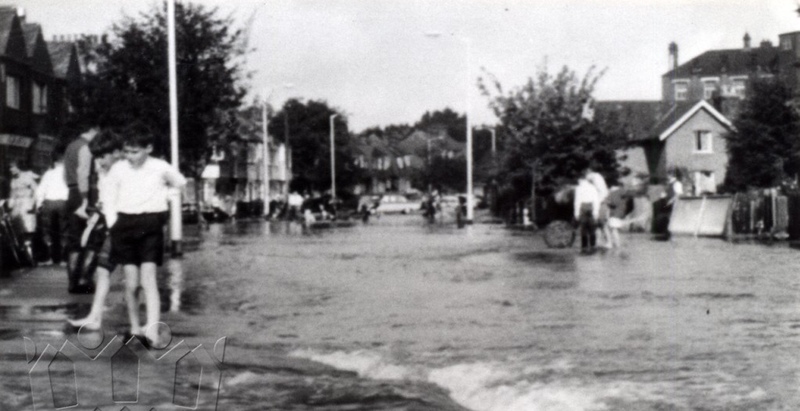 In earlier posts, Running Past has followed the Quaggy from its sources around Locksbottom and then on through Petts Wood, the Hawkwood Estate, Chislehurst and Bickley, leaving the river just after it had appeared from the dominant bulk of the railway cutting on Sundridge Avenue. 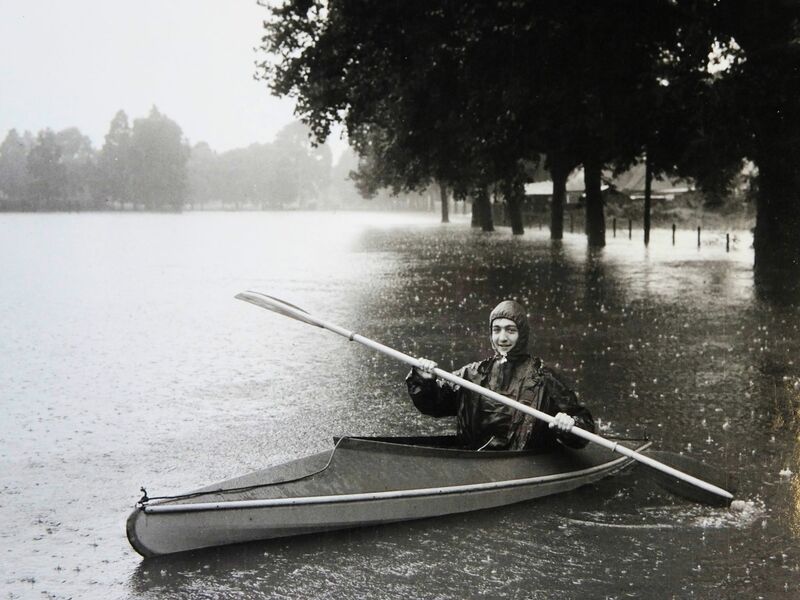 Almost as soon as it arrived into the open it was to disappear into Sundridge Park – which is largely out of bounds for the fluvial flâneur. 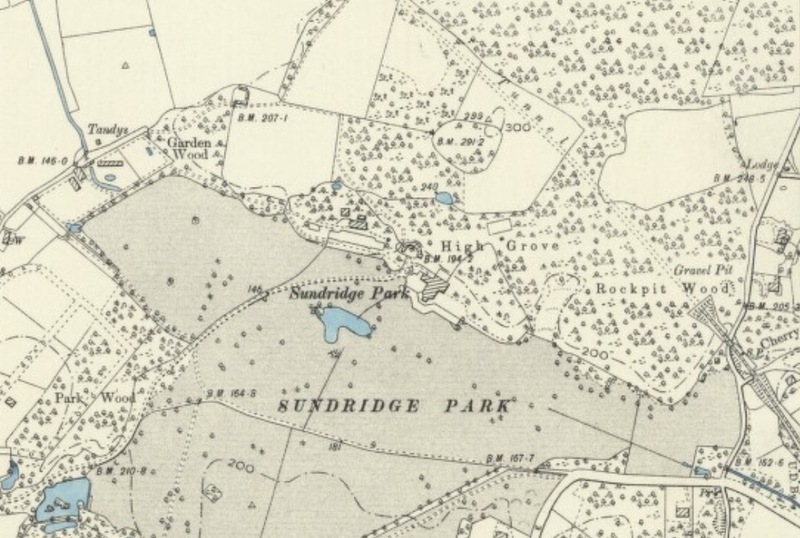 Sundridge Park is an old country estate – there had been a three storey brick house on the southern bank of the Quaggy which had been home to a succession of wealthy Londoners. The estate was remodelled by Humphrey Repton in the late 18th century – this included creating a Pulhamite grotto on the hillside close to the current house (see comment from Sarah below). It seems likely that Repton, the preeminent landscape gardener of his generation, was responsible for culverting the Quaggy through much of the grounds – certainly early Ordnance Survey maps (on creative commons from National Library of Scotland) which were surveyed well before the golf courses were built have the Quaggy largely hidden, only reappearing for a lake just below the House. Part of the culverting was removed during the 20th century. As well as hiding the river, Repton was also responsible for the demolition of the original house, which was located south of the river, around 1792 and a new house was designed by James Wyatt for Edward George Lind and built between 1792 and 1795. Lind sold the estate to (Sir) Claude Scott in 1796, and he employed the prominent Georgian architect John Nash to make additions in 1799. It is an impressive Grade I building (see below – source eBay February 2017), although the extensive conference centre it is now part of it, somewhat detracts from it. 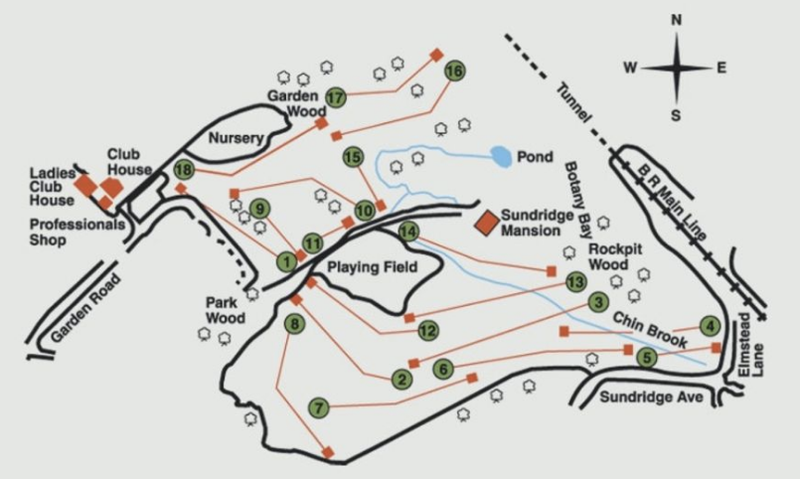 The Park itself is notable for its lack of public rights of way, there are no public footpaths traversing the pair of golf courses of the Sundridge Park golf club (although the Green Chain Walk skirts part of the western course) which was opened by the then Prime Minister Balfour in 1902 on land leased from the Scotts. 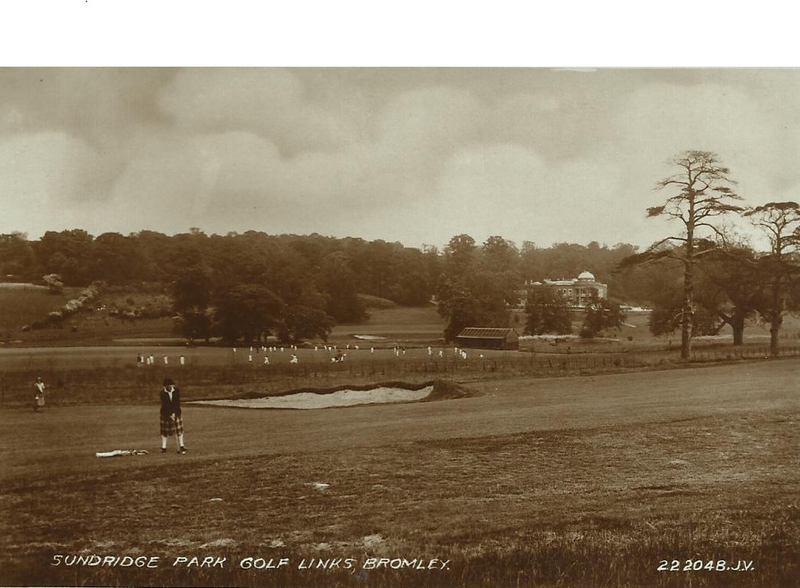 The valley of the Quaggy is clear on this early postcard of Sundridge Park (source eBay November 2016). While the golf courses make the park largely out of bounds for the (sub)urban explorer, access was negotiated for following Milk Street Ditch at the northern end of the Park along with some slightly less legitimate looking for the unnamed tributaries of the Quaggy elsewhere on the ‘estate’, the Sundridge Park Ditches. 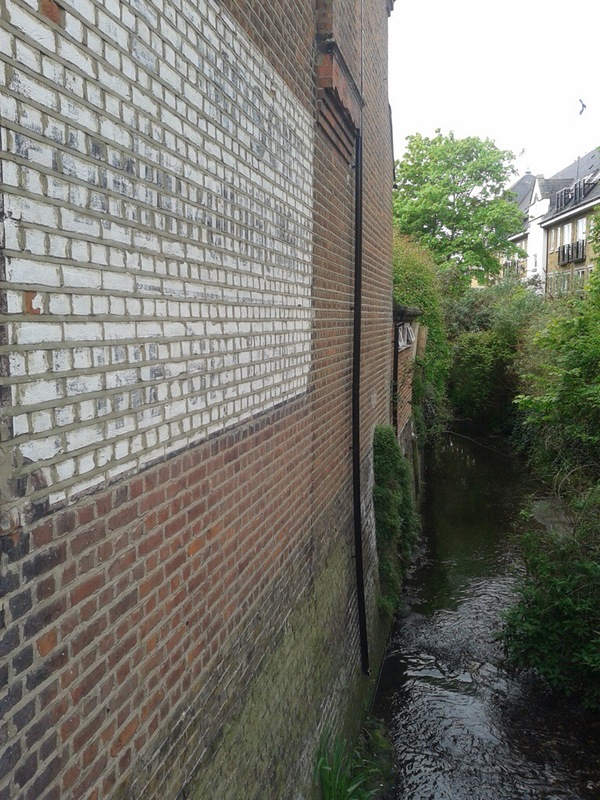 ‘Ditch’ should not be seen as a derogatory term, it is just the local term for a small stream. 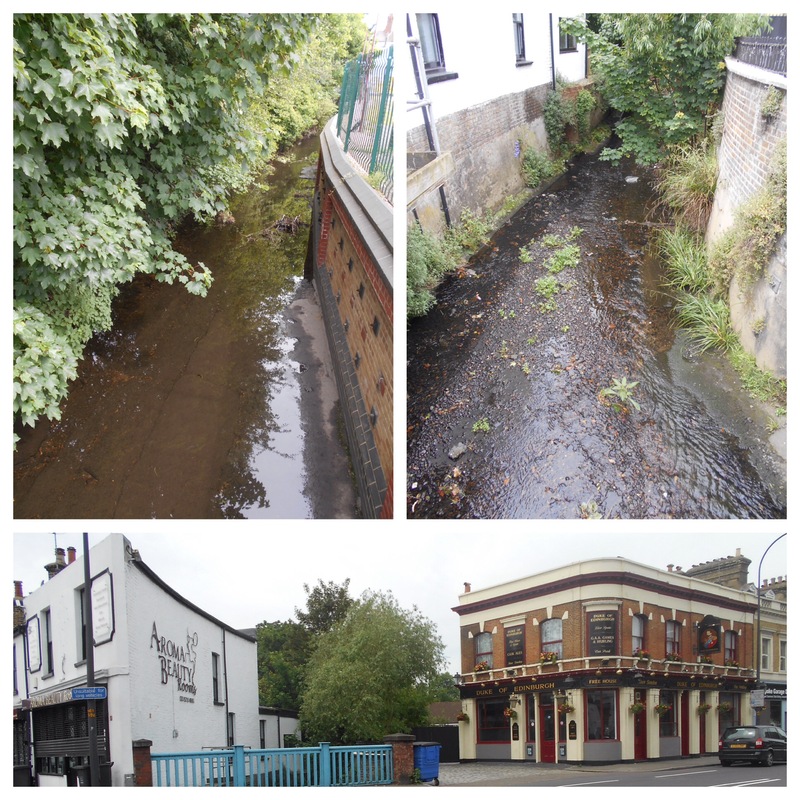 The photographs below show the river upstream and downstream from Milk Street Ditch. 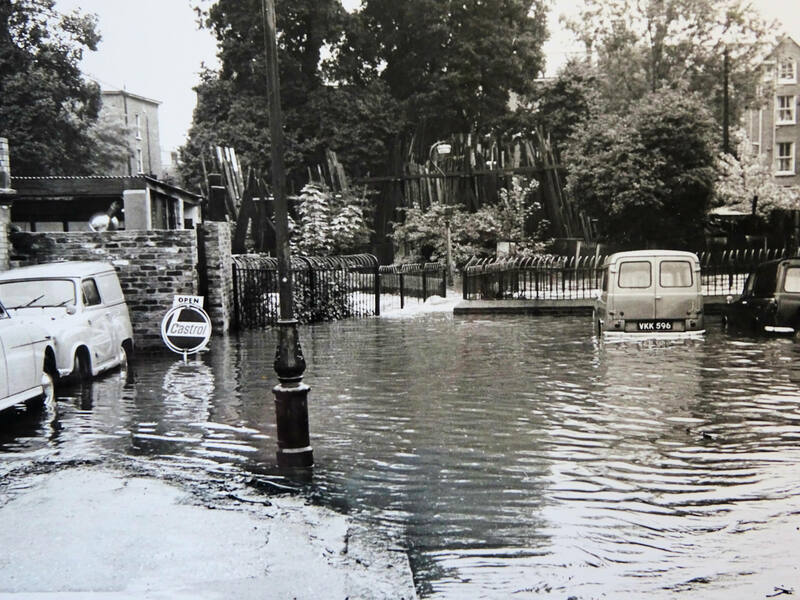 Once out of the Park the river is culverted under New Street Hill and flows, submerged through part of the 1930s suburbia, an area originally known as Hall’s Farm Estate after the farm whose land was lost to development. 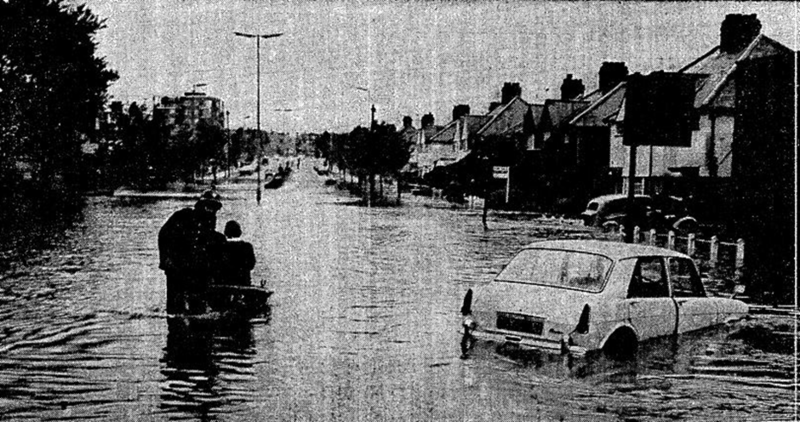 While the Quaggy is submerged, it is clear in a valley and the course is followed above ground by tracks to what seem to be largely abandoned garages – too small for 21st century vehicles. 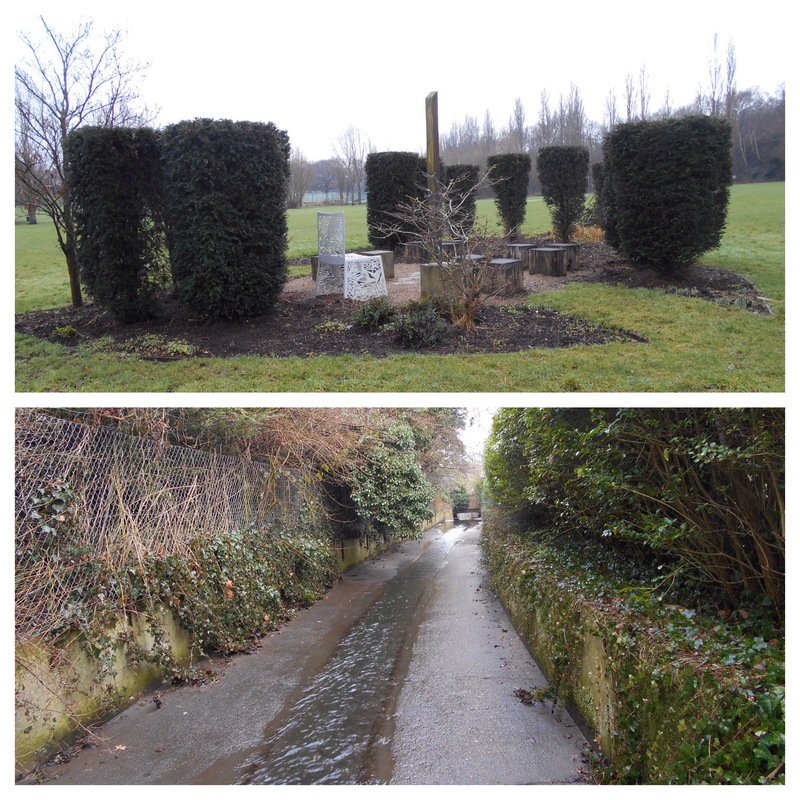 The Quaggy is joined by another unnamed ‘Ditch’ which follows one of the streets of the estate Leamington Avenue. 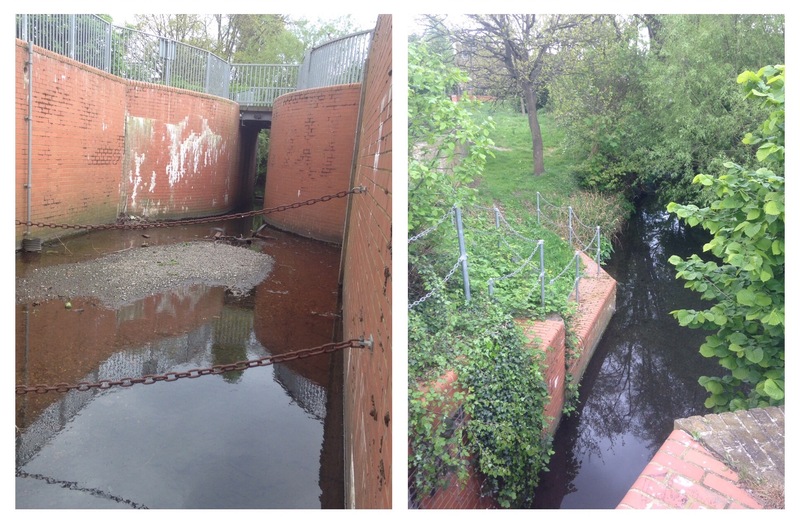 The Quaggy re-emerges into the open in the southern part of Chinbrook Meadows (top left below) before being encased in concrete to take it under the towering mass of the mainline out of Grove Park. A few metres into its tunnel it is joined by another tributary – Border Ditch – whose last metres are behind the fencing in the bottom right hand photograph. 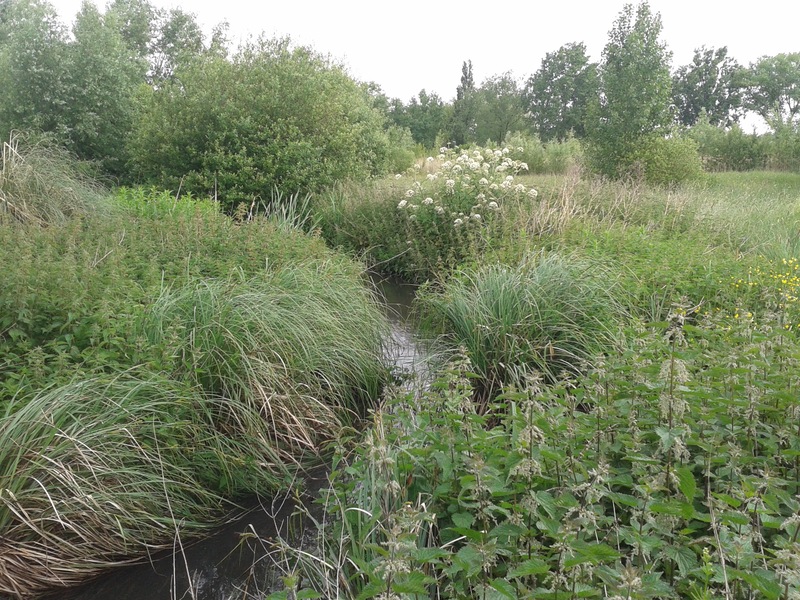 The emergence again into the open is initially bounded by concrete but then gently meanders through the main part of Chinbrook Meadows. 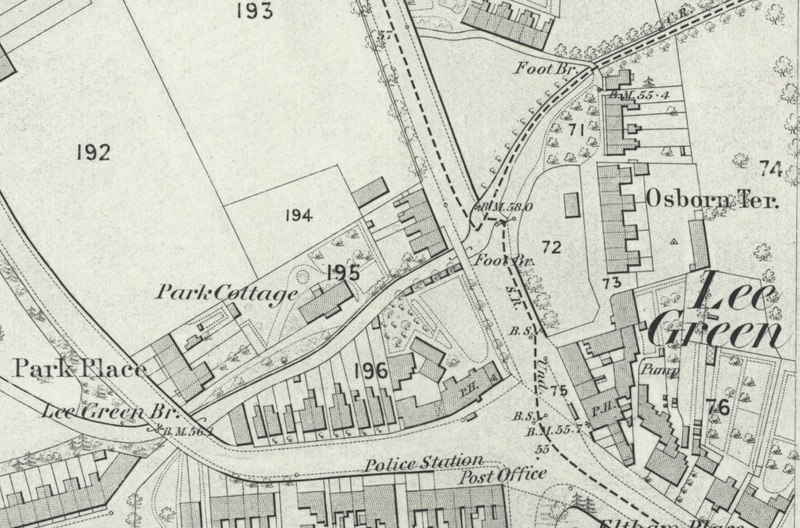 This was not always the case – early Ordnance Survey maps (on creative commons from National Library of Scotland) suggest a straightening to allow for easier cultivation in pre-development Grove Park. 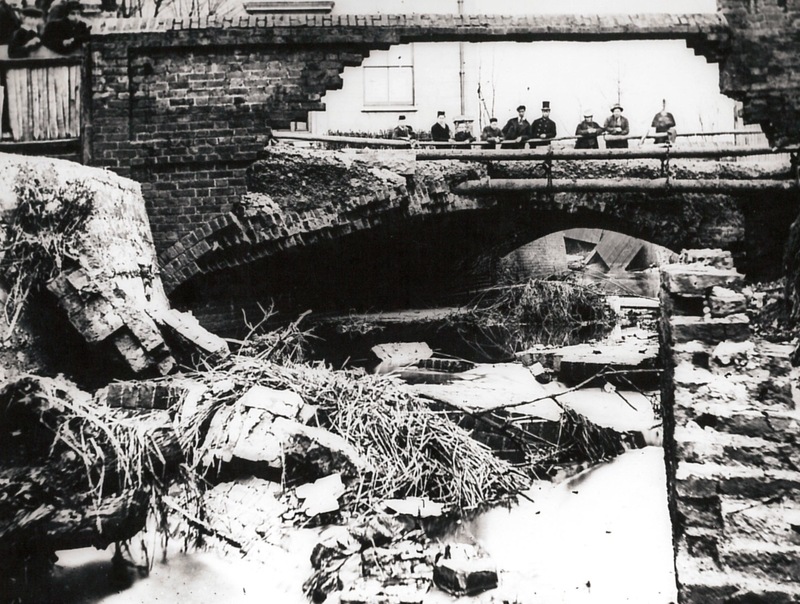 Worse was to come for the Quaggy, after the farmland was turned into a Park – the river was given concrete banks which discouraged any flora or fauna and hedging was planted which almost prevented park users from even viewing the river. It was a waterway disconnected from its environment and the population around it. 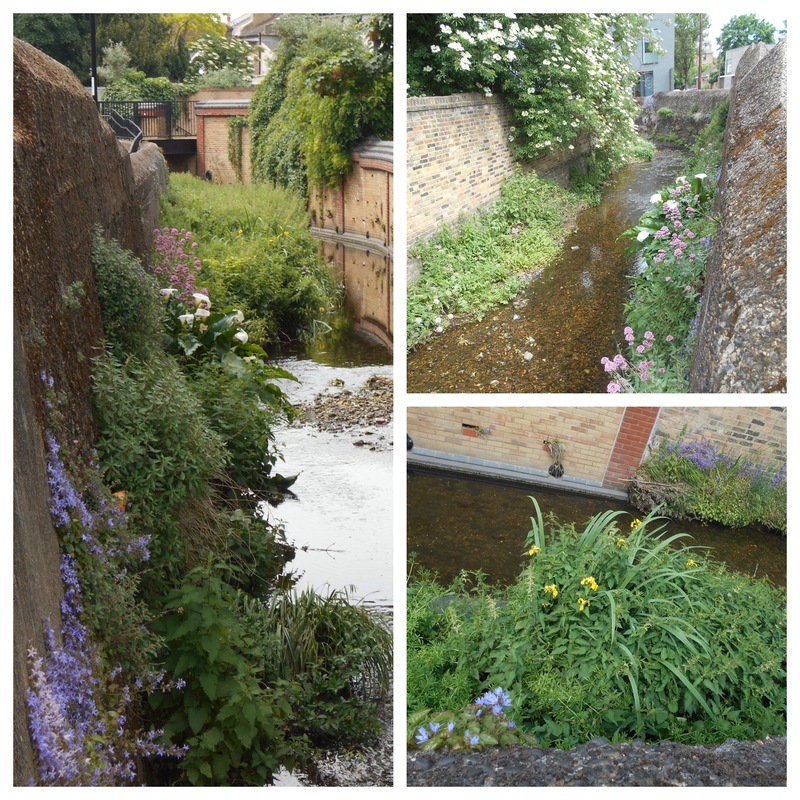 This all changed in 2002 and the Quaggy was taken out of its concrete culvert and allowed a naturalised bed to flow in. 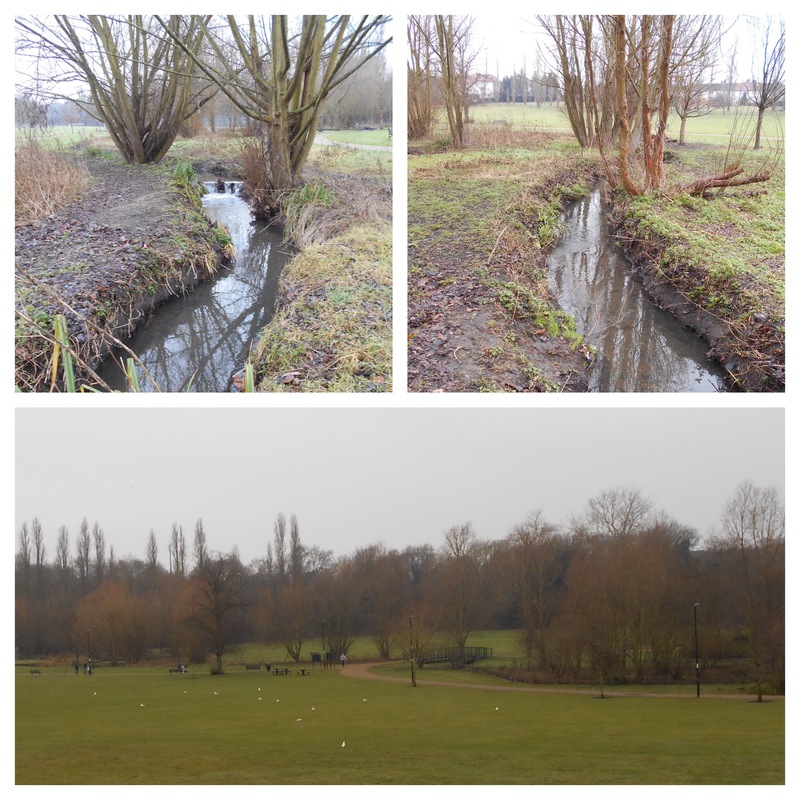 The changes help mitigate flood risk and allow the banks to be overflowed and excess water to be safely retained within the park, slowing flows and reducing the likelihood of flooding downstream. 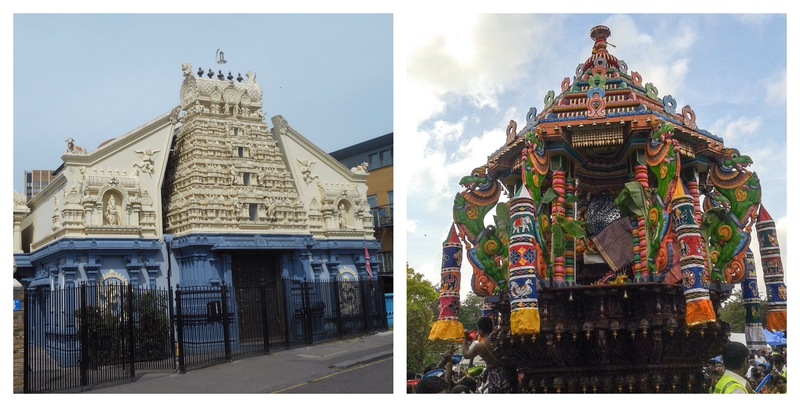 Before leaving Grove Park a brief detour a few metres is worth making, to the Peace Garden – an area opened in 2009 by one of Grove Park’s most famous residents, Archbishop Desmond Tutu – some of whose early ministry was as an Honorary Curate at St Augustine’s between 1972 and 1975. 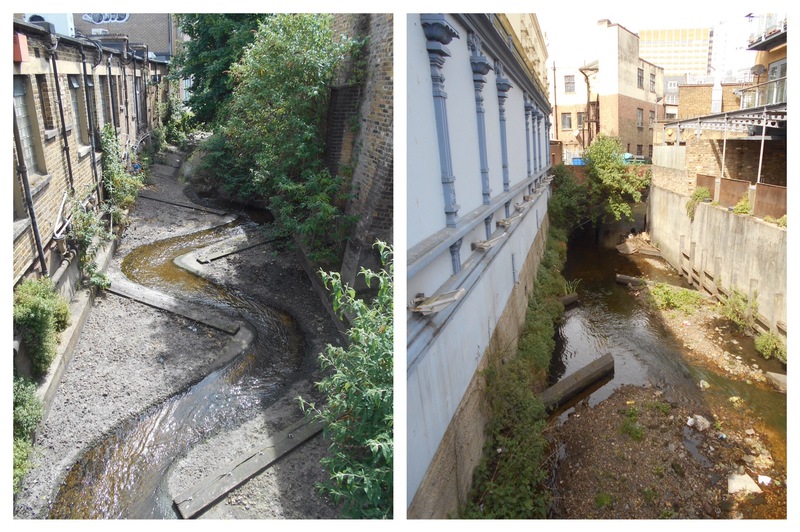 We’ll leave the Quaggy at this point with a stark reminder of how it used to be – a barren concrete channel. 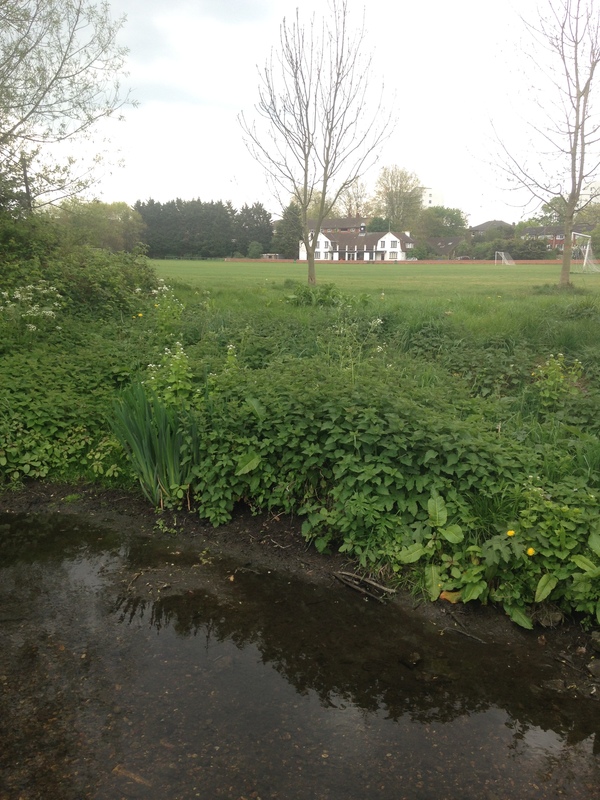 This entry was posted in Bromley History, Lewisham History, Rivers and tagged Border Ditch, Chinbrook Meadows, Milk Street Ditch, Quaggy, Sundridge Park, Sundridge Park Golf Club on February 23, 2017 by Paul B.
Sundridge Park is an area which formerly had several streams joining the Quaggy – there are a number of tell-tale sets of notched contour lines on modern Ordnance Survey maps heading towards Chin Brook, the local name for the Quaggy at the eastern end of the Park (it is again Kyd Brook at the western end). 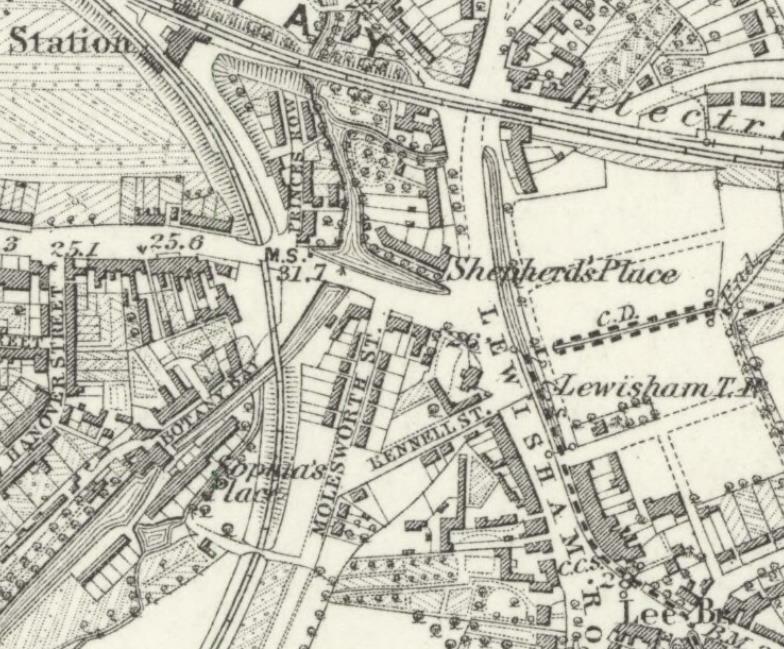 Other than Milk Street Ditch and its own small tributary, which Running Past has already covered, none have allowed any blue selections by the Ordnance Survey cartographers, indicating current water, so the valleys may be historic, created in times when water tables were higher. 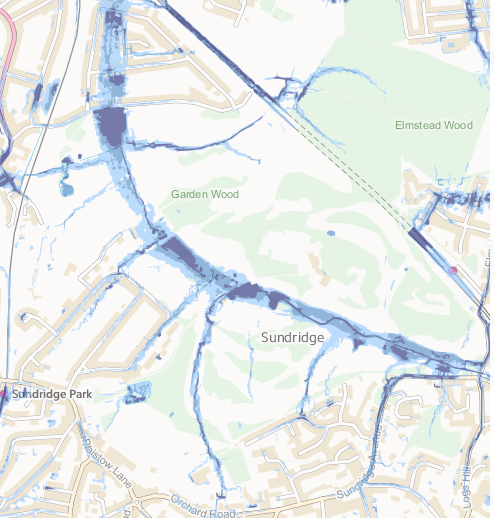 However, they become obvious when looking at Environment Agency flood risk maps (using the surface water option). 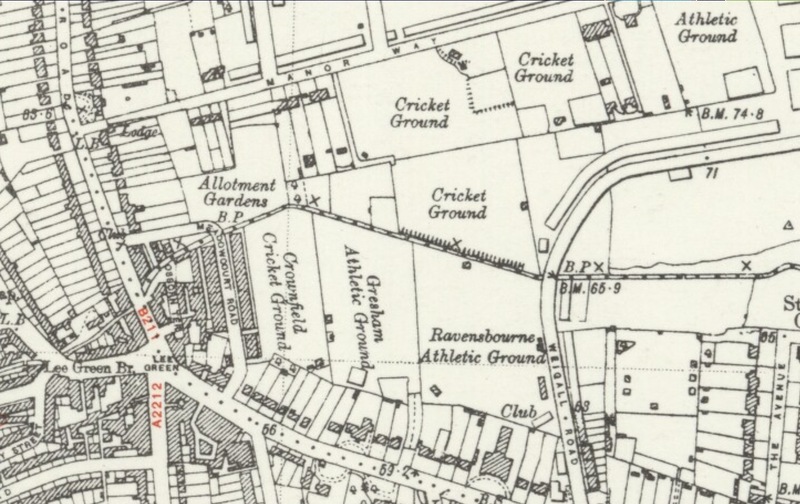 All seem to be unnamed but I have referred to them as ‘Ditches’ – this is not to belittle them, far from it, it can be seen as bestowing significance on them – most of the named Quaggy tributaries in this area have the appellation ‘Ditch’ – Petts Wood, Milk Street, Border and Grove Park. There are several on the southern side of the railway – including the valley of parts of Sundridge Avenue, another which would have risen somewhere around Scotts Park Primary School. 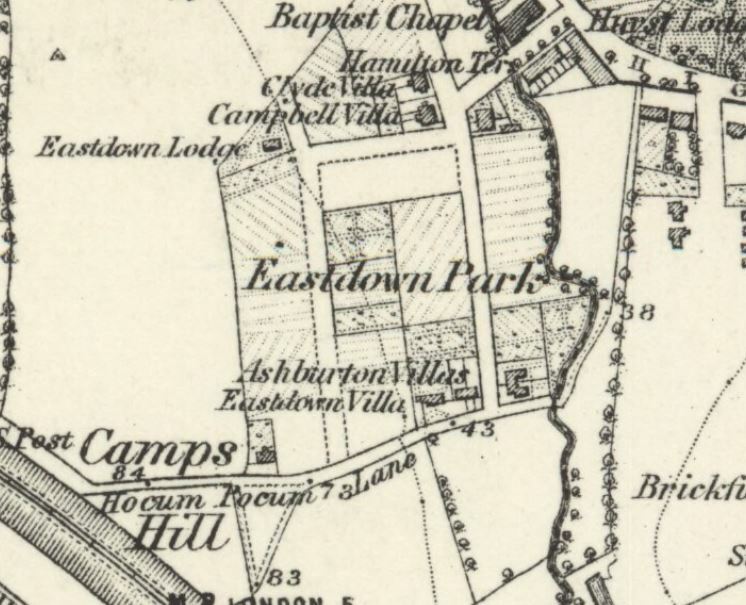 There is a further one which is almost adjacent to St Joseph’s School – the latter (and probably the former) were used to feed a long gone boating lake, complete with boat house shown on the 1897 Ordnance Survey map below (source National Library of Scotland on a creative commons). 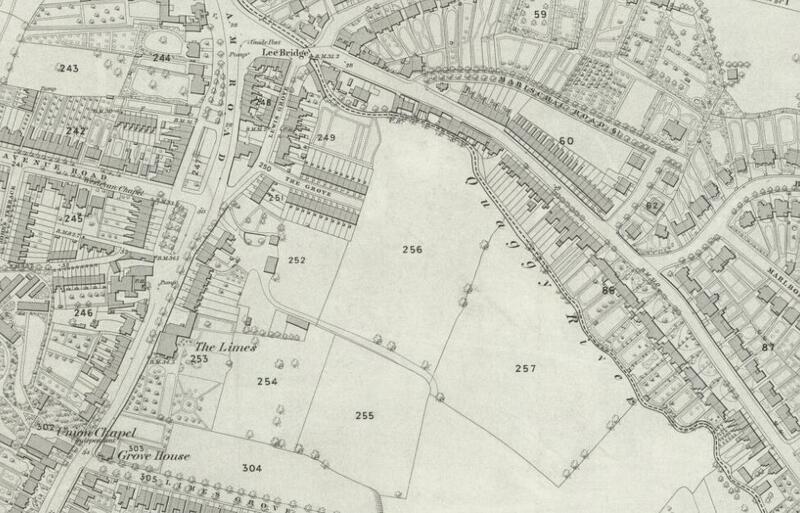 The location of the lake is obvious on the ground, well obvious to those who ignore the ‘private’ signs (but unlike the western branch of the Kyd Brook higher up in the catchment, there was no razor wire or indeed fencing to deter the fluvial flâneur.) While a notice threatened ‘deep water’, the former lake was a rather dried-up shadow of its former self. 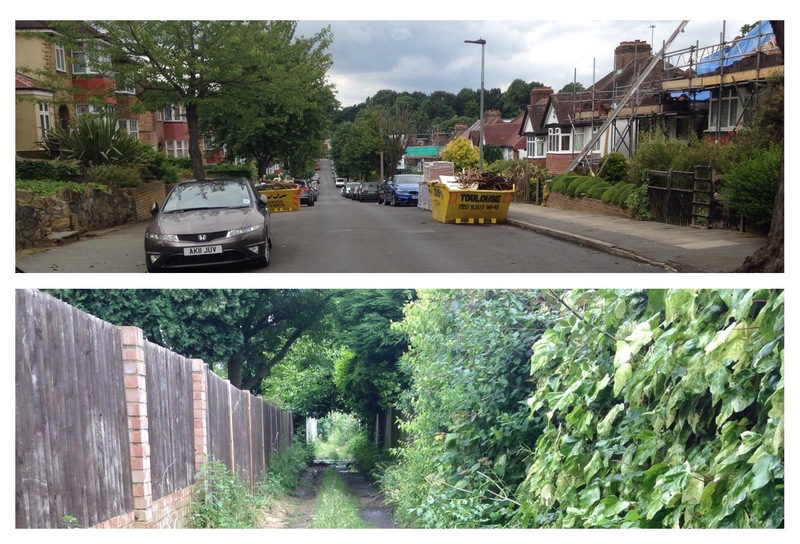 There is another ‘Ditch’ just to the rear of Garden Road, the small valley is obvious on the road up to the clubhouse but not on the golf course viewed through the fencing at the bottom of the Garden Road. 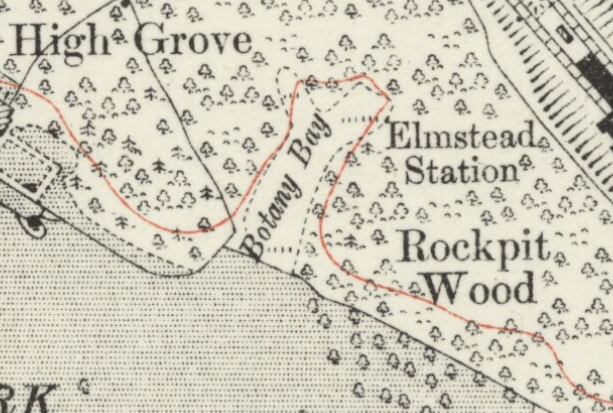 The most obvious valleys are on the northern bank of Kyd Brook – one may have been diverted by the construction of Elmstead Woods station – the dark blue flood risk stops there, but the valley continues – there are clear notched contours just to the west of Rockpit Wood (see the area marked ‘Botany Bay’ on the 1919 OS Map on a National Library of Scotland creative commons, below). The woods take their name from a small quarry, in which there have been found lots of fossils. 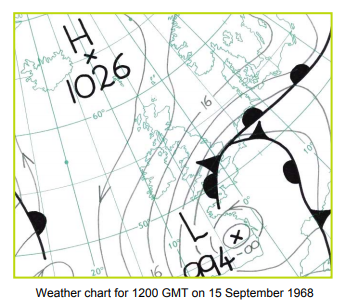 While no water is marked on the map below, there is a small stretch of azure on the Environment Agency map above – a small remnant of a past watercourse. There is certainly another ‘Ditch’ behind the Mansion, possibly a dammed stream creating a small pond on the hillside – a stream isn’t obvious from OS Maps but it features on the East Course golf course map adjacent to the 15th and 16th fairways, with a smaller arm from close to the Mansion. 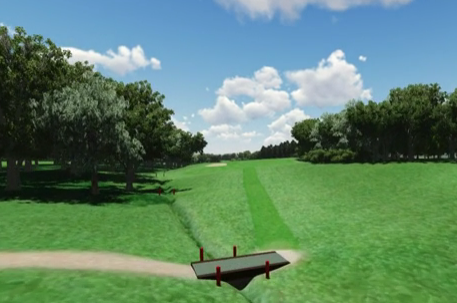 They probably wouldn’t be noticed by those playing the ‘demanding’ par 3 15th, hidden by the woodland to the right of the fairway . While the confluence with the Quaggy is marked, I failed to spot it from my surreptitious run along the road up towards the Mansion. 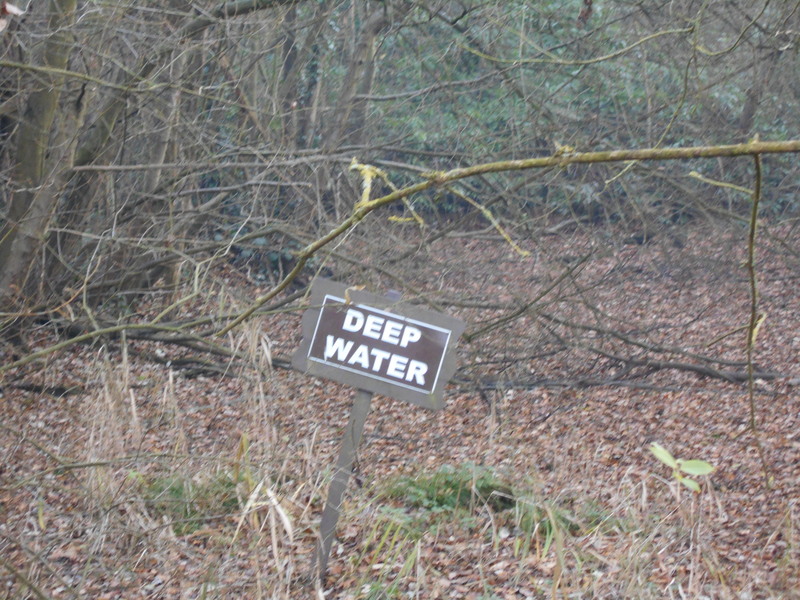 The deepest valley is one emerging opposite Milk Street Ditch – the source of this is in Elmstead Woods , the other edge of the wood is source to another tributary – Fairy Hall Flow. This is clear on the ground, close to Grove Park Cemetery; with two small ditches coalescing at a screen in a small dip on the Green Chain Walk. While I haven’t seen any water there for a while, I certainly remember small channels flowing alongside the path in wetter seasons. 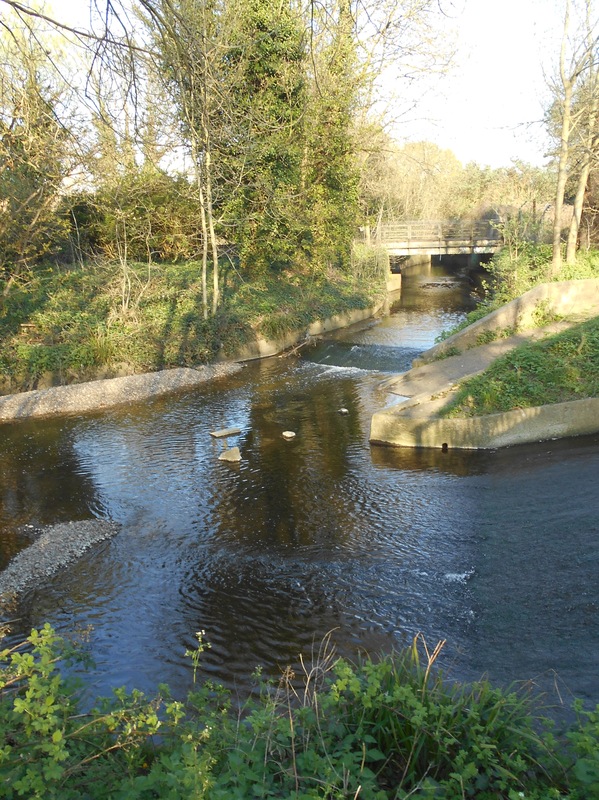 The combined flow, when it flows, would take it under a corner of Grove Park Cemetery and then at a slight dip in the path crosses the Green Chain Walk just before it enters Elmstead Woods. 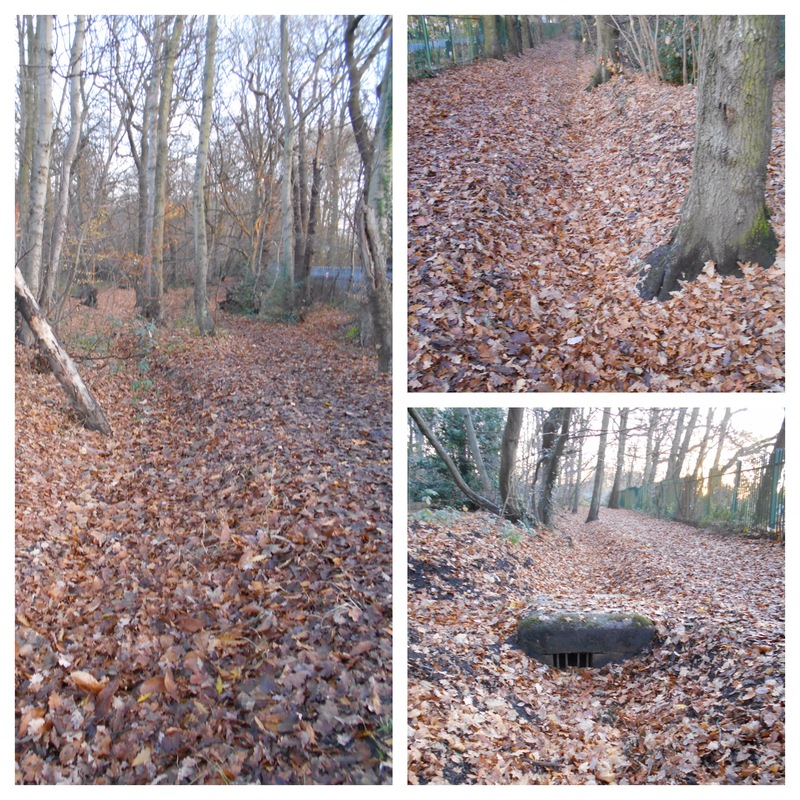 There is the ferrous presence of a manhole cover allowing access to the occasional stream in a small dip in the path going back towards Chinbrook Meadows allowing access before it reaches the railway. 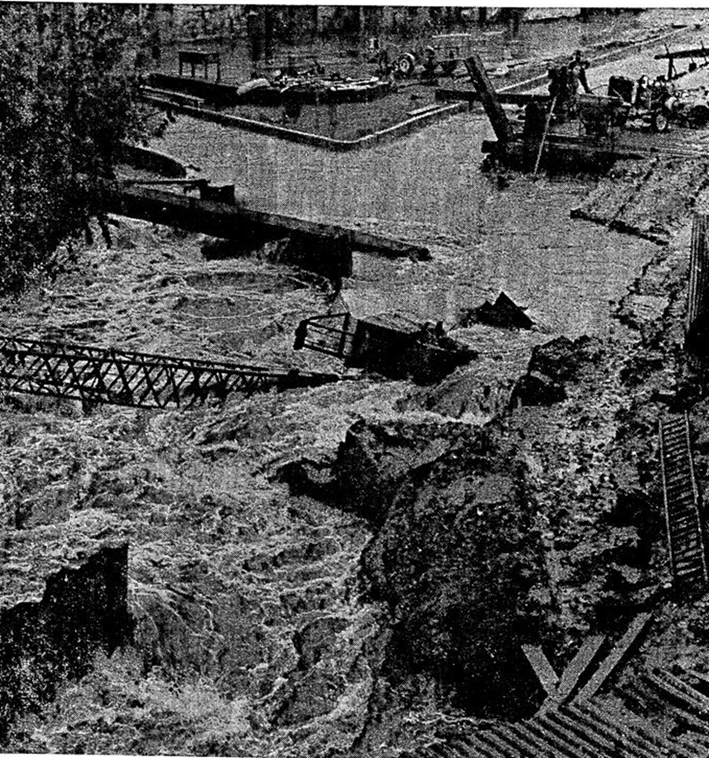 The railway bars its way and the Flood Risk Map (above) suggests that it may have flooded in the past – there seems to have been a new concrete structure built which presumably ushers the wrong kind of water away from the tracks. 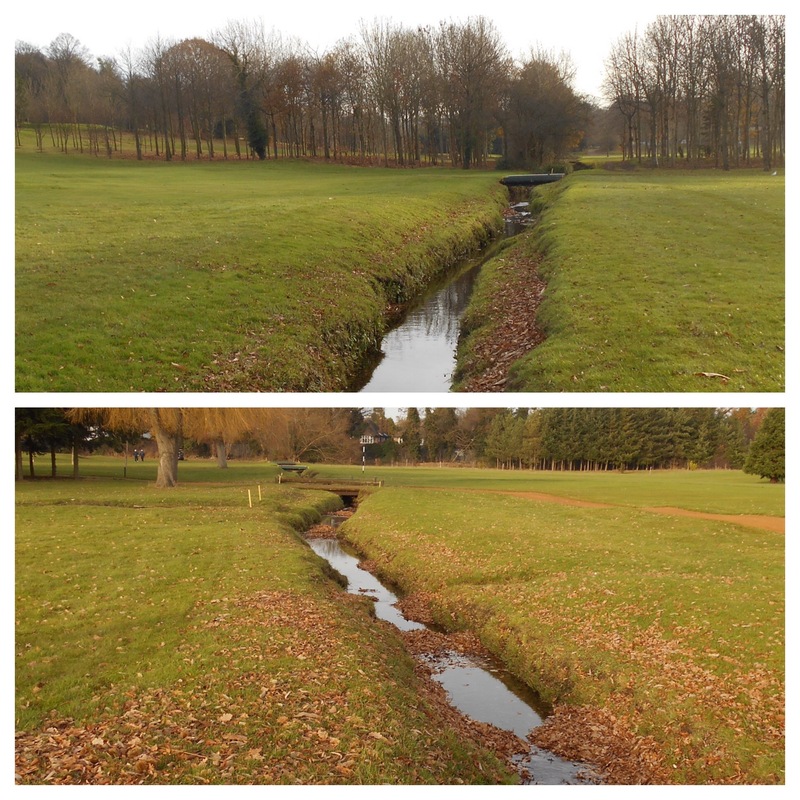 There appear to be remnants of the stream adjacent to the 10th fairway on the West Course – visible on the fly-through of the course. I had hoped to be able to see the valley when tracking Milk Street Ditch’s short traverse of the golf course but the last vestiges of autumnal colours prevented a clear enough view. 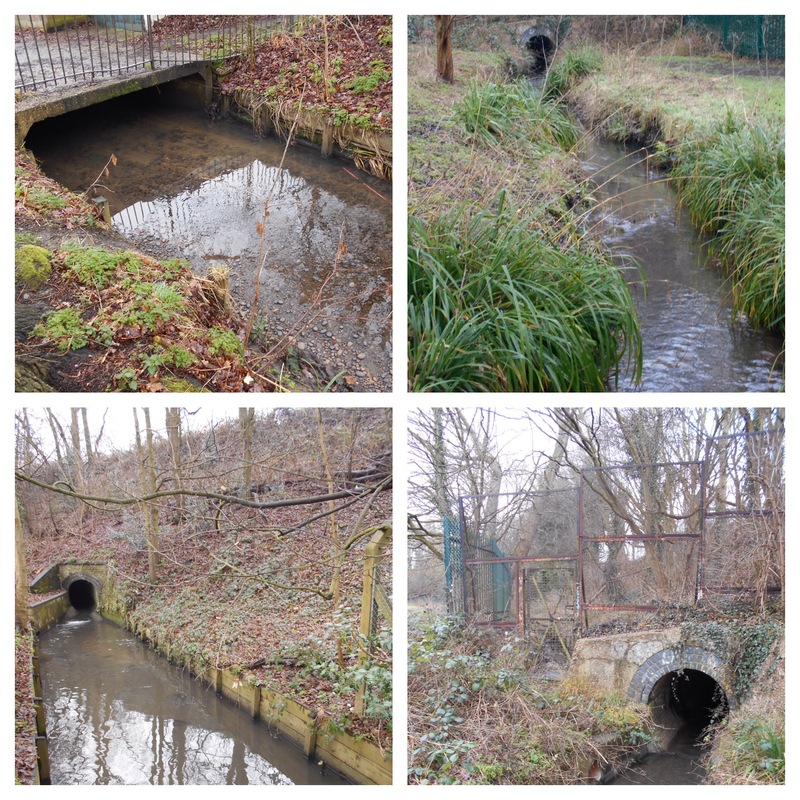 This entry was posted in Bromley History, Rivers and tagged Elmstead Woods, Milk Street Ditch, Quaggy, Rockpit Wood, Sundridge Park on January 19, 2017 by Paul B.